August 1, 2013 marked the start of full marriage equality in RI. Here we are one year later and life as we know it continues without much change for most of us. The Providence Journal ran an article about the economic impact of law and we are proud to share it with you. You might just recognize the innkeepers featured in the article. 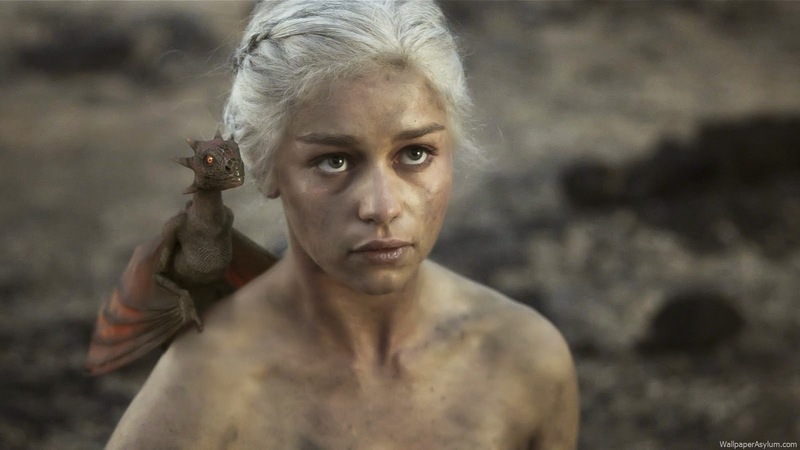 Move over Mother of Dragons Contest! Meet the Mother of Turkeys. 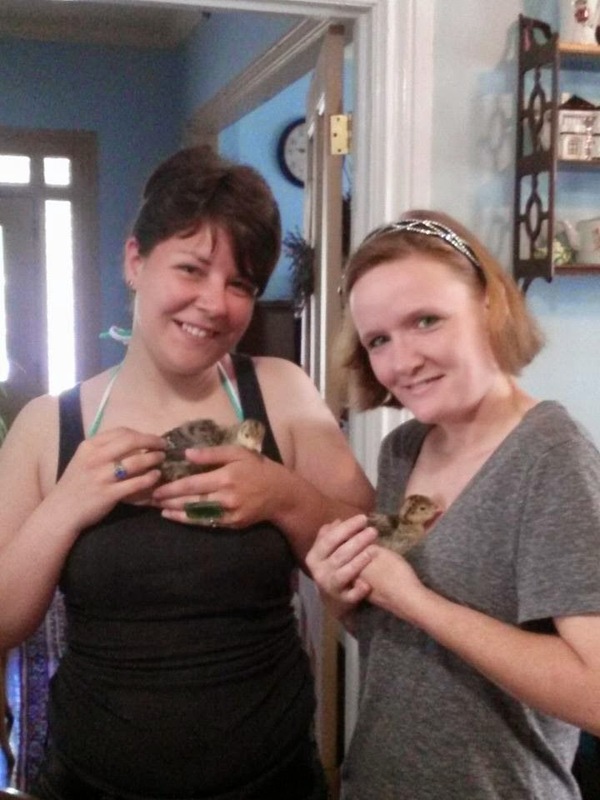 For over a year Innkeeper Seely has been considering raising a small flock of turkeys. It was a crazy whim that could only be indulged on a small budget if at all. Finally the perfect fence came up on the free listings on Craig's List. Then materials for a coop were posted. Lo and behold a week later there was an ad for free but lame turkeys. 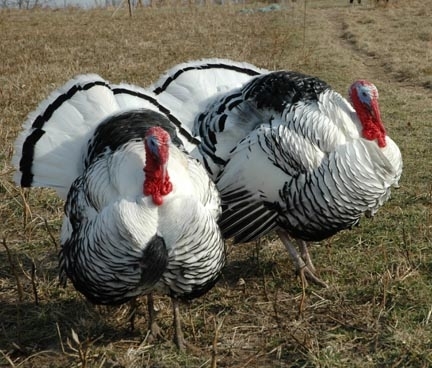 Not just any turkey breed: Narragansett Turkeys. 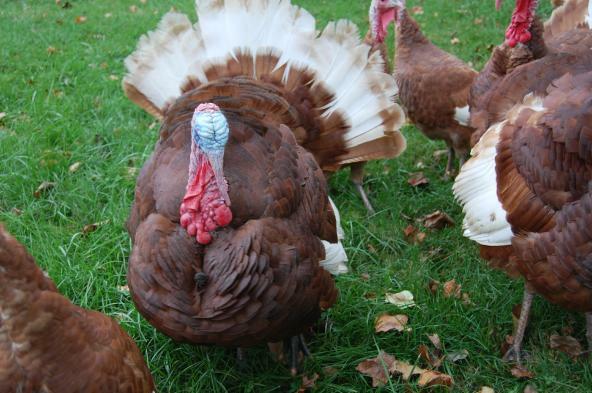 Narragansetts were one of the three breeds of heritage turkeys on the final wish list. (Royal Palm and Bourbon Red are the other two.) If that wasn't Karma giving a green light to the project what was it? The two poults each have a bum leg because the breeder's incubator malfunctioned and didn't turn the eggs before they hatched. They might improve or they might not. In the meantime they are engaging little things hopping on one leg, chowing down like linebackers, and talking nonstop. In about a month they will be joined by three to four other poults. Their mother is brooding over 40 eggs. To celebrate the turkeys, Blueberry Cove Inn is holding a naming contest. They are too young to identify their gender which adds a level of difficulty to the contest. Suggest a name from person in literature or history with one bum leg. Bonus points for someone with a bum left leg. Unisex names are encouraged but not required. "Tiny Tim" entries will be scorned. If more than one person submits the same name only the first person will be considered for the prize. Only one entry per person allowed but if you submit a name and come up with a better one you can always delete your first entry. Entry can be posted in the comments here or on Facebook. The two winners will each receive $75 gift vouchers to be used toward any stay or package at the inn. The contest ends on July 31, 2014. The Mother of Turkeys will select and announce the winner on August 1, 2014 unless the Mother of Dragons comes by and wants to pick the names. In either case, the judge's decision will be final.